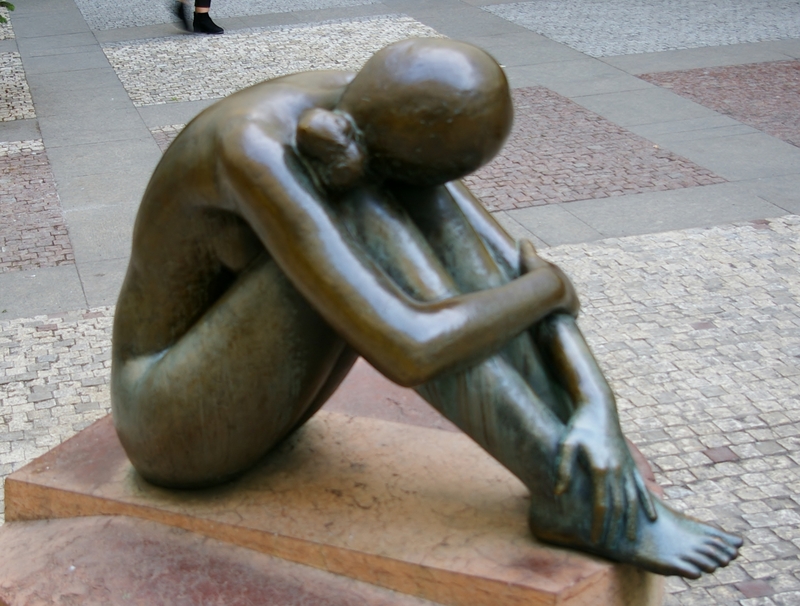 Bronze statue of young girl curled up by Miloš Zet from the 1980’s at the Platyz courtyard in Prague, near Narodni trida. One of my favourite. A truly beautiful piece of sculpture that belongs in a public place. She exudes such peace and content. It’s not the PTSD kind of curl up, it’s a contemplating about something pleasant and happy kind of curl up. I just love it. This entry was posted in Life/Photography and tagged 1980's, Body, Bronze, center, City, courtyard, Figural, Figure, marble pedestal, Miloš Zet, Naked, Narodni Trida, Platyz, Prague, sculpting, Sculpture, Statue, Woman, young girl. Bookmark the permalink. Oh, really? That’s kinda disturbing… :-D Who’d be fondling it? I just found this blog whilst searching for the name of this statue in Prague (I’m writing a poem on it)! I love your thoughts on the contentment of the girl, as that is exactly what struck me as well.